With the MSc Business Systems Analysis and Design course at City you can unravel a business system and prepare to work as an analyst within the industry. A Bachelor’s degree with lower second class honours or above, or overseas equivalent. Ibukunoluwa Ogundipe has chosen to study the MSc in Business Systems Analysis and Design at City, University of London. She’s an international student from Nigeria. 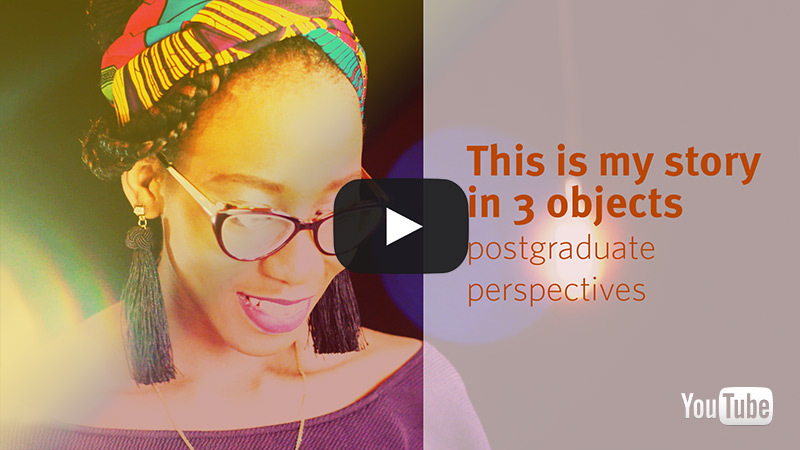 Here Ibukunoluwa shares her story through 3 objects, symbolising her past, present and future. As a student on the MSc Business Systems Analysis and Design course you will have access to dedicated labs and use specialist software such as SAP. At City we also have access to Microsoft Dynamics ERP software to support the enterprise information system module. Microsoft Dynamics is an industry-based CRM system. As part of the University of London you can also become a member of Senate House Library for free with your student ID card. Data obtained from Destination of Leavers from Higher Education Statistics, 2016. A 12-month full-time option during which you attend all the taught modules during terms 1 and 2, and complete your Project within the 12-month period of the degree or for those students with internships 15 months. Teaching takes place on various days per week (daytime on weekdays), depending on options chosen. Understand and make use of the internationally recognised expertise in the Department of Computer Science. A key resource for any organisation is the internal and external information which is key to its business. Employees use this information to generate knowledge given both business and technological drivers from the external environment. In this module you will learn how to manage information and knowledge as part of the IT infrastructure e.g. supporting communication/collaboration, users' needs for information and their information seeking behaviour. You will investigate barriers to successful information management strategies such as information overload and determine the policies (both managerial and technological) that can be put in place to resolve the problems. This will provide you with the knowledge to manage information effectively to meet an organisation's key strategic goals. Identify decisions to be made and their consequences with a focus on both theoretical and practical issues. Develop a theoretical understanding of research methods, practical skills in carrying out research, design, evaluation and dissemination, and an awareness of the professional contexts within which research is used. Demonstrate working knowledge of basic parts of UML as a specification language. Develop techniques for effective and engaging interaction design that will be widely applied in commercial settings and are relevant to other software engineering methods. Identify and review teamwork analysis of case studies to provide fast-track development for your understanding of both theoretical and practical issues. Relational databases are used throughout and you gain skills in and experience of the SQL Data Definition Language to implement databases, ensuring database consistency and integrity, and the SQL Data Manipulation Language to develop working SQL queries that address a range of information needs. Information Retrieval (IR) systems are key to supporting information management. These are applied in various contexts e.g. work, mobile, social media, etc. Users have various information needs in these contexts and, as part of their overall information-seeking strategy, they use IR systems to find and access the information required to fulfil those needs. In this module you will learn how to analyse information needs and create search strategies to retrieve relevant information using a variety of systems e.g. web, online and for different media such as text, images and videos. The evaluation of IR systems is also a key focus of the module, using different methodologies. The module will give you the theoretical and practical knowledge to use IR systems effectively.